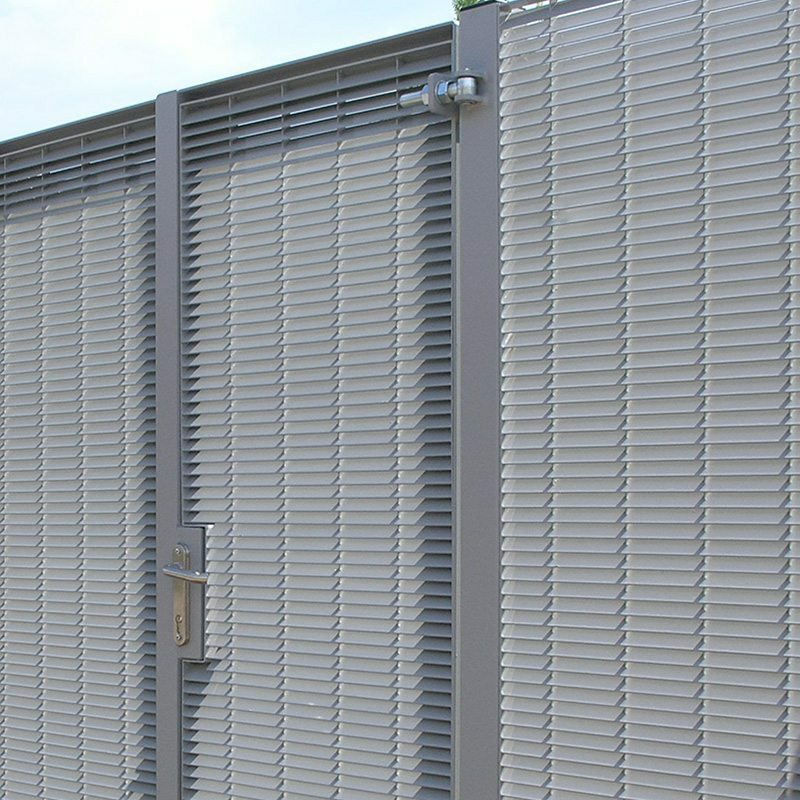 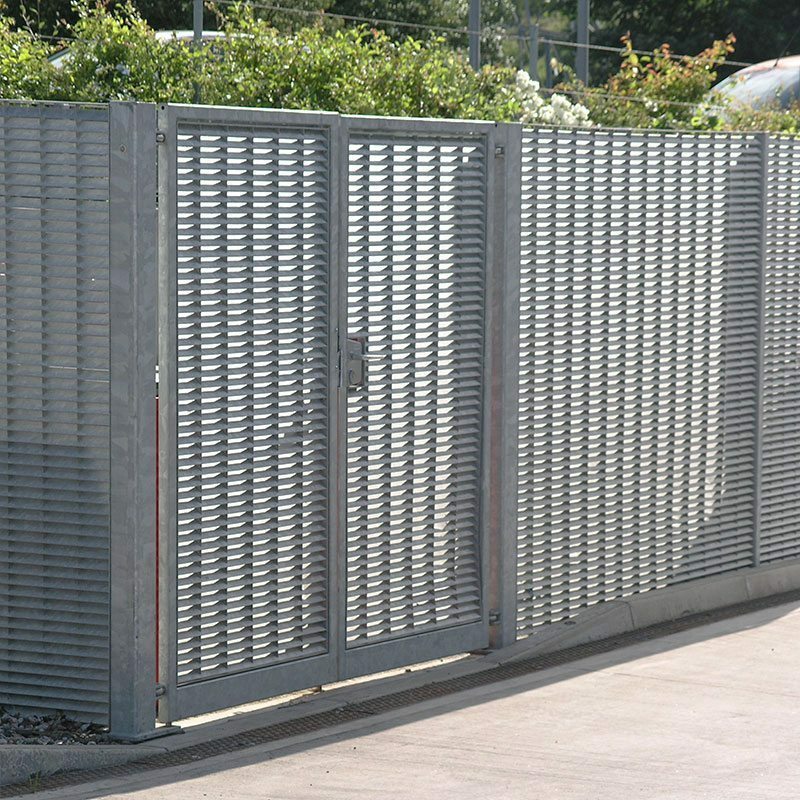 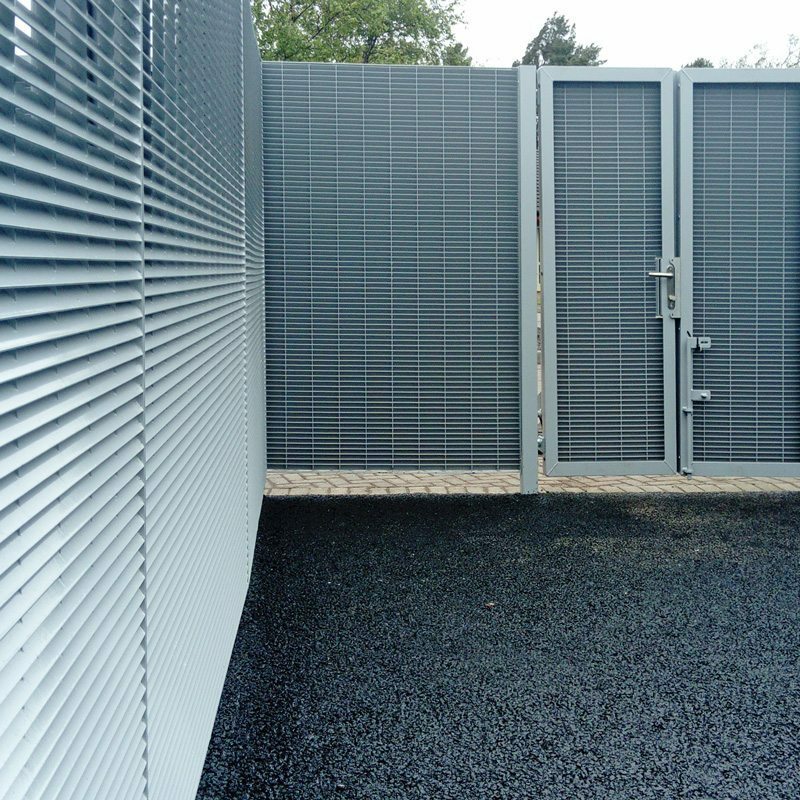 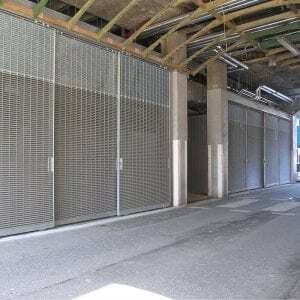 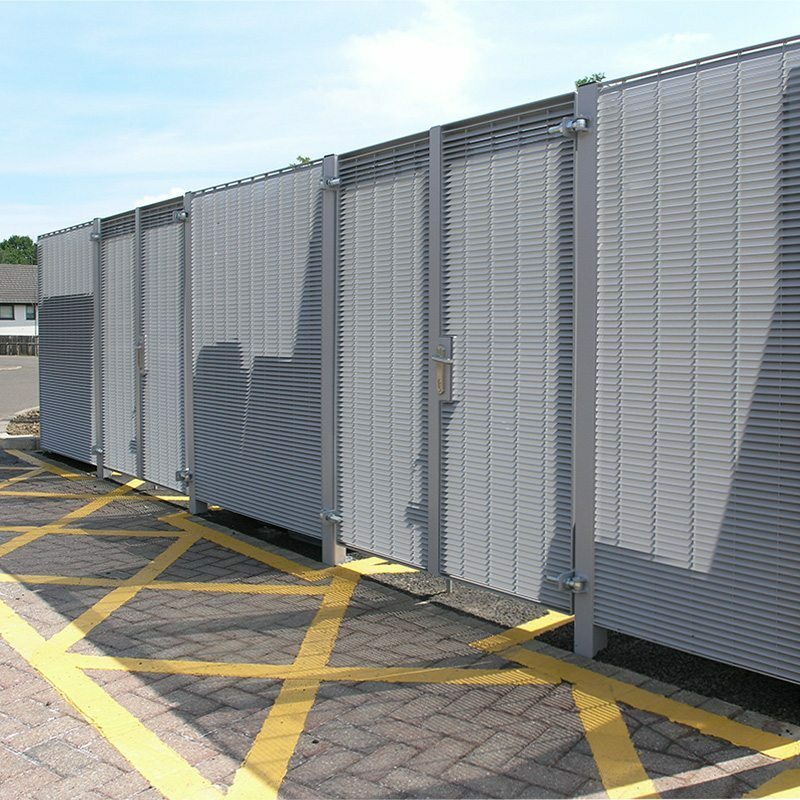 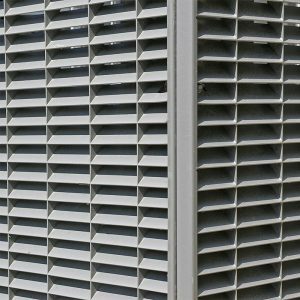 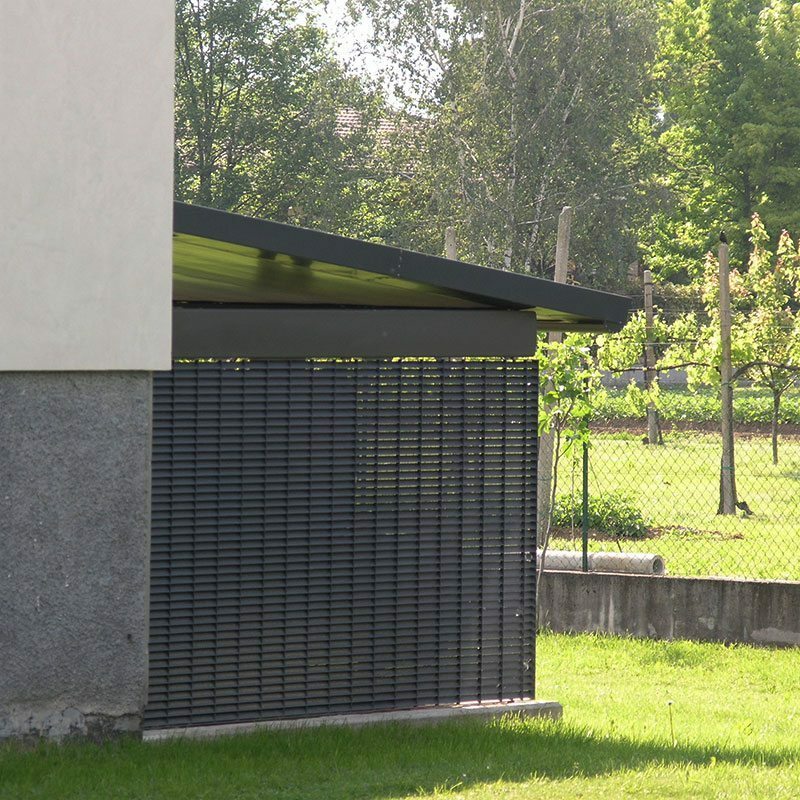 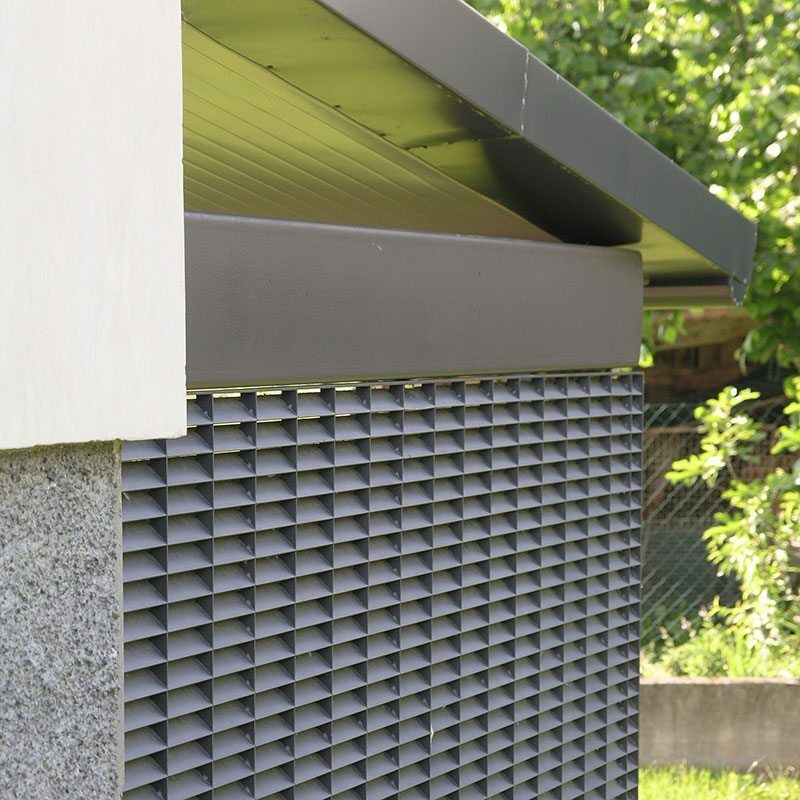 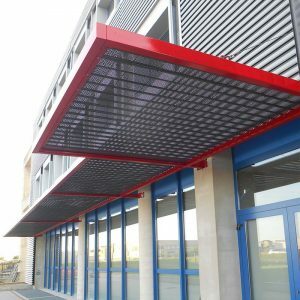 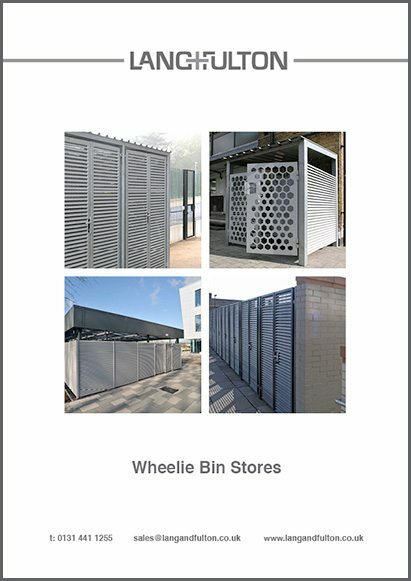 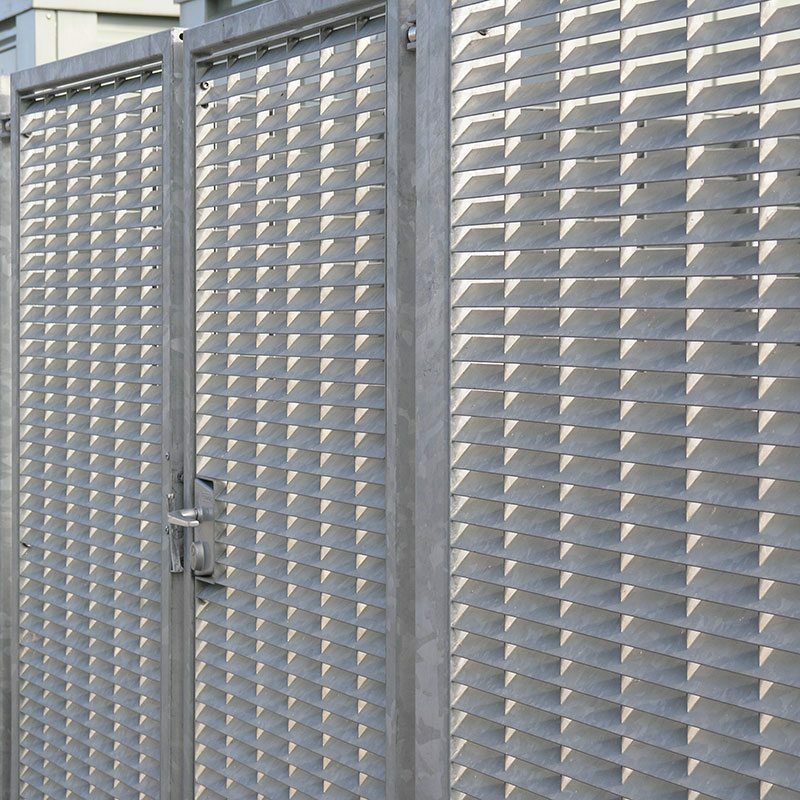 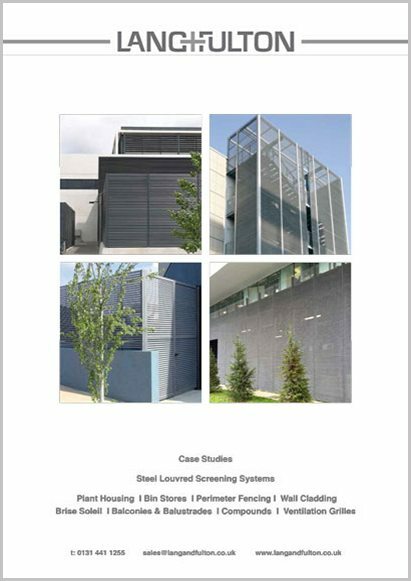 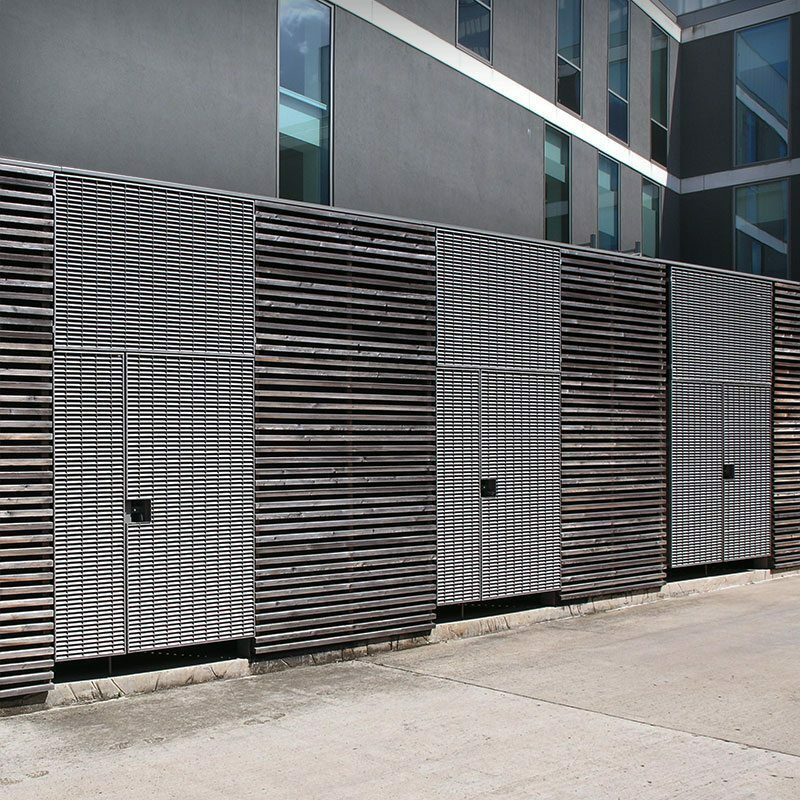 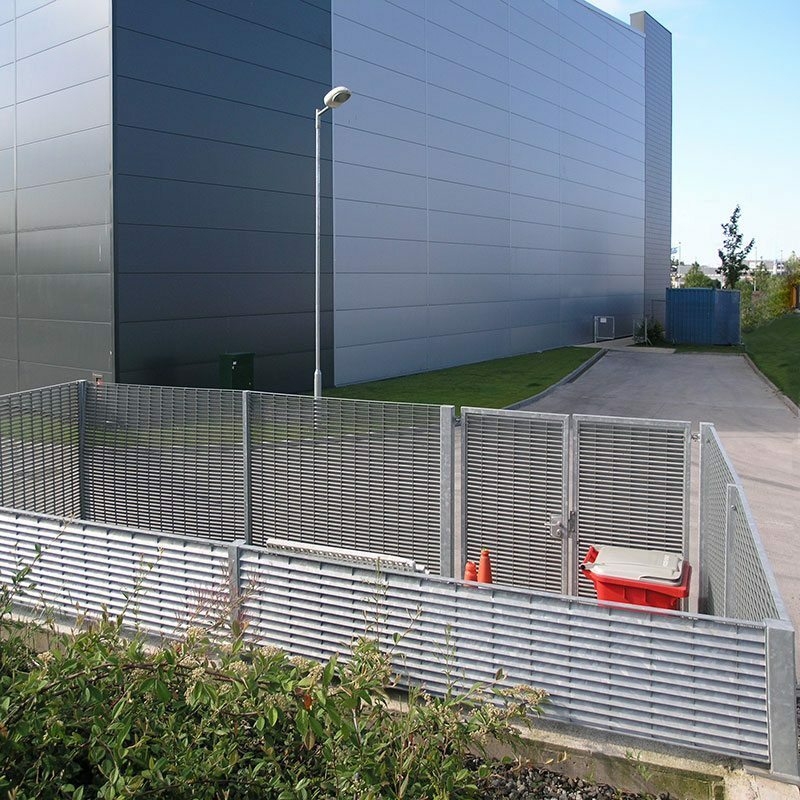 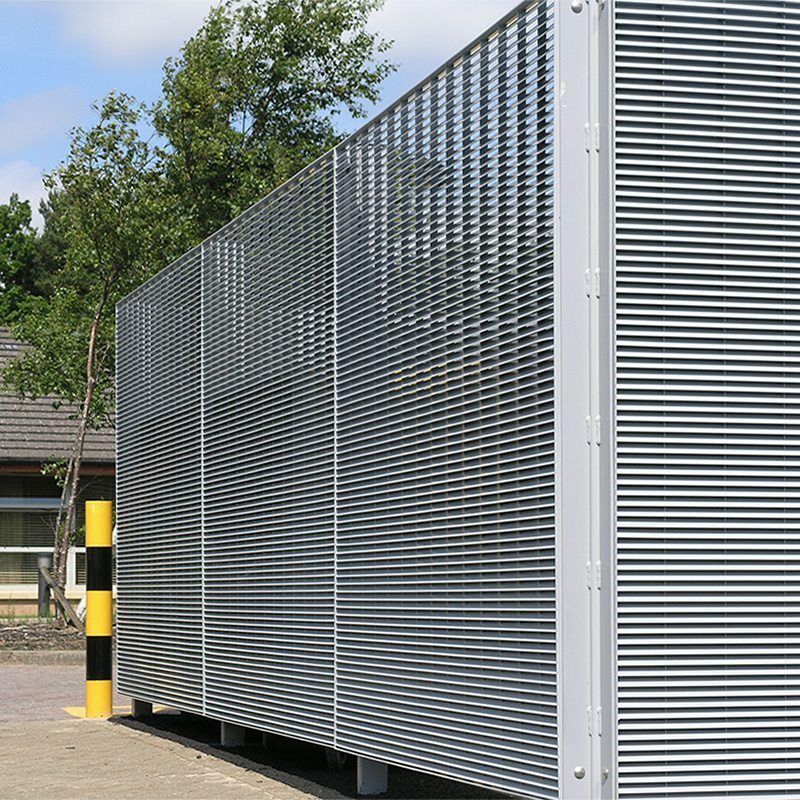 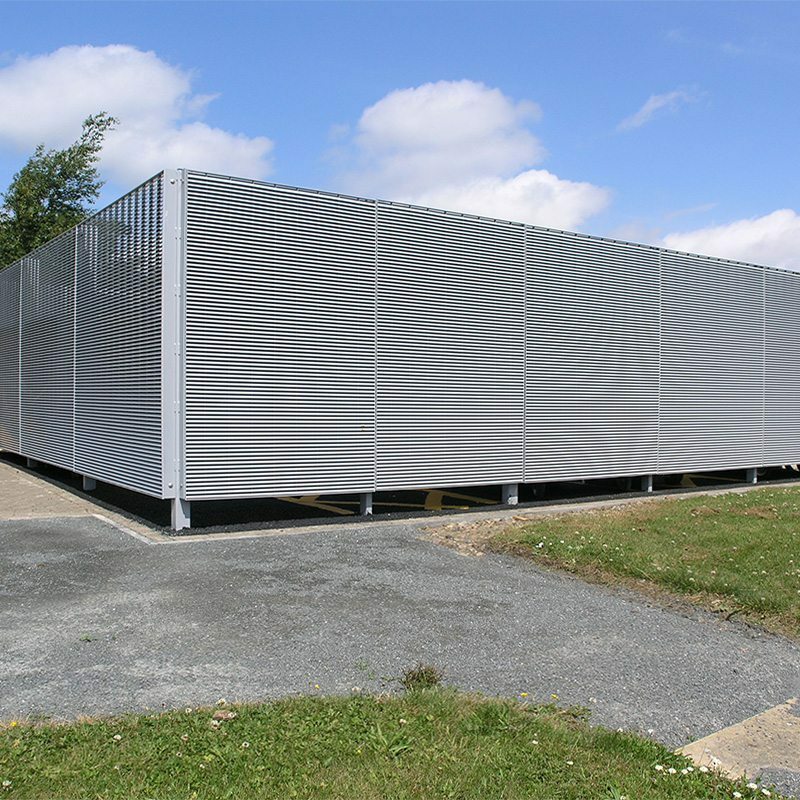 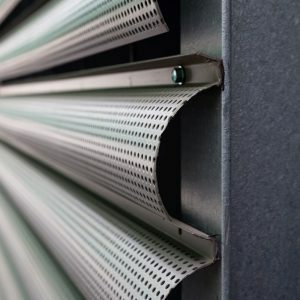 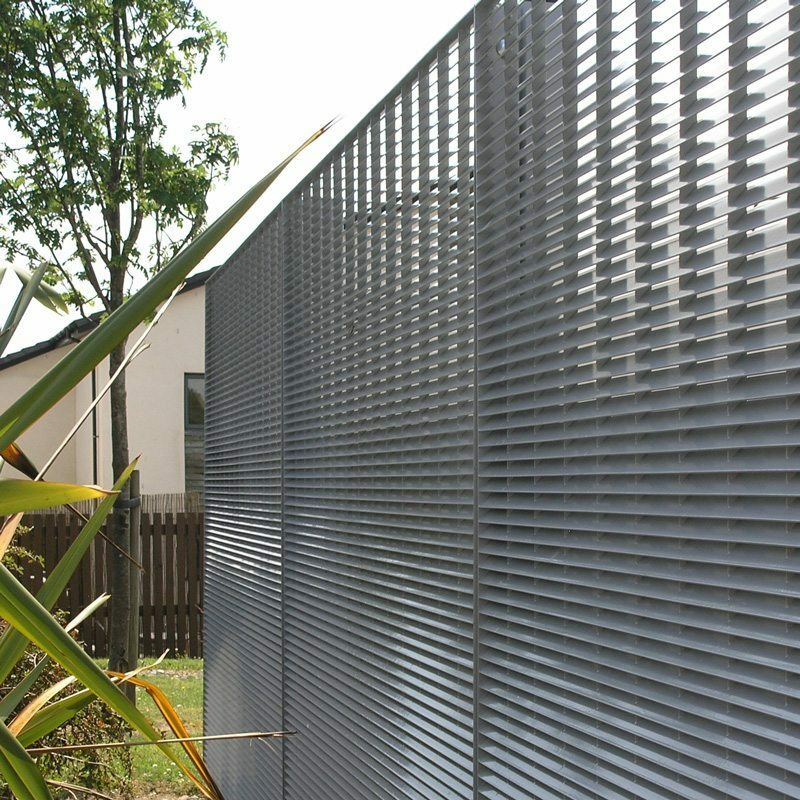 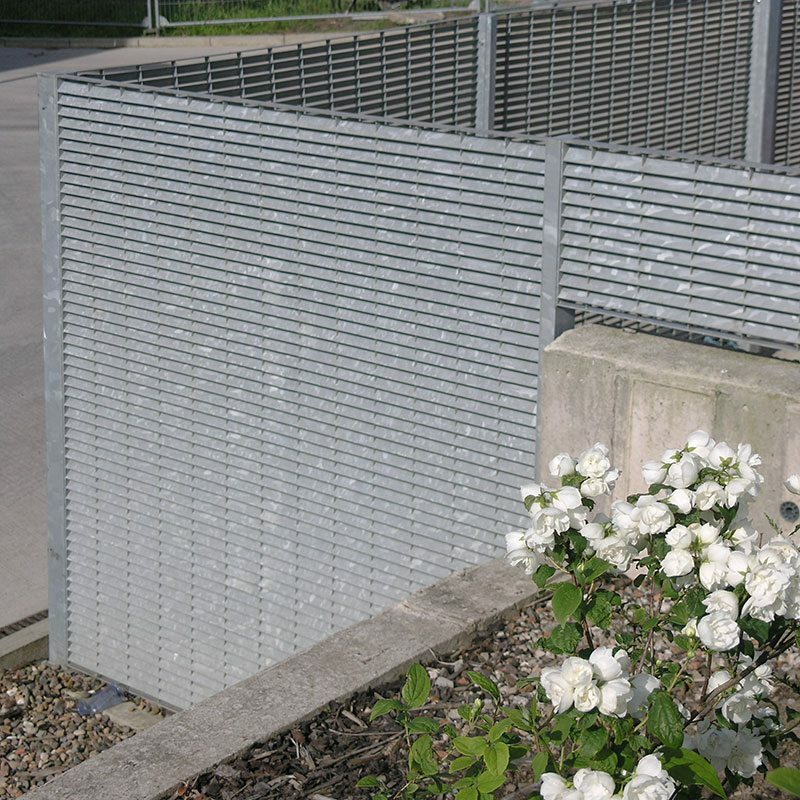 Louvres can be spaced at any interval of 11mm to provide the exact amount of screening/free area to meet particular requirements. 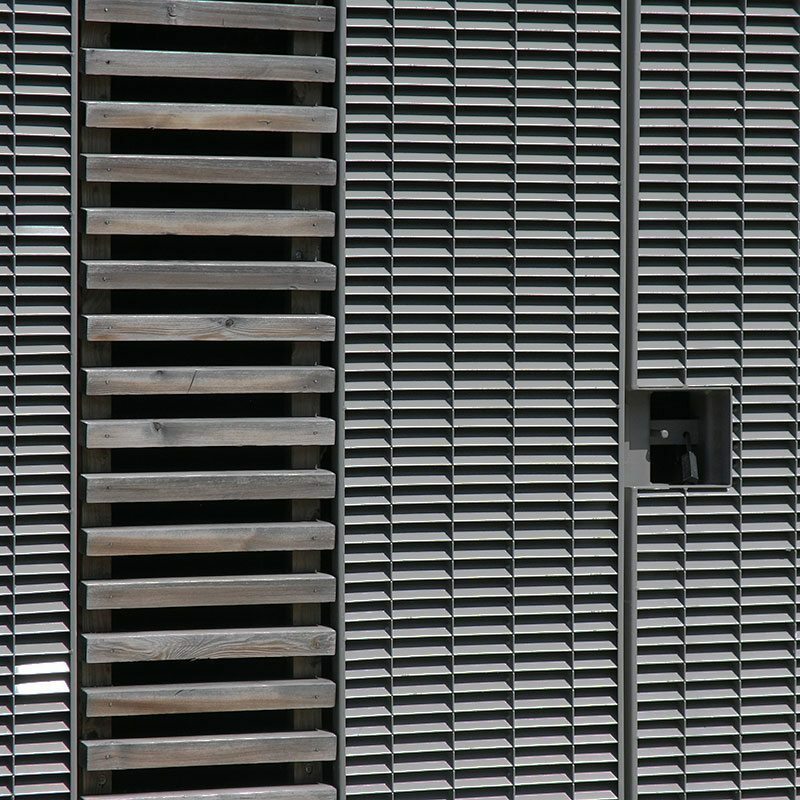 Vertical bars are generally spaced at 132mm but this is also variable. 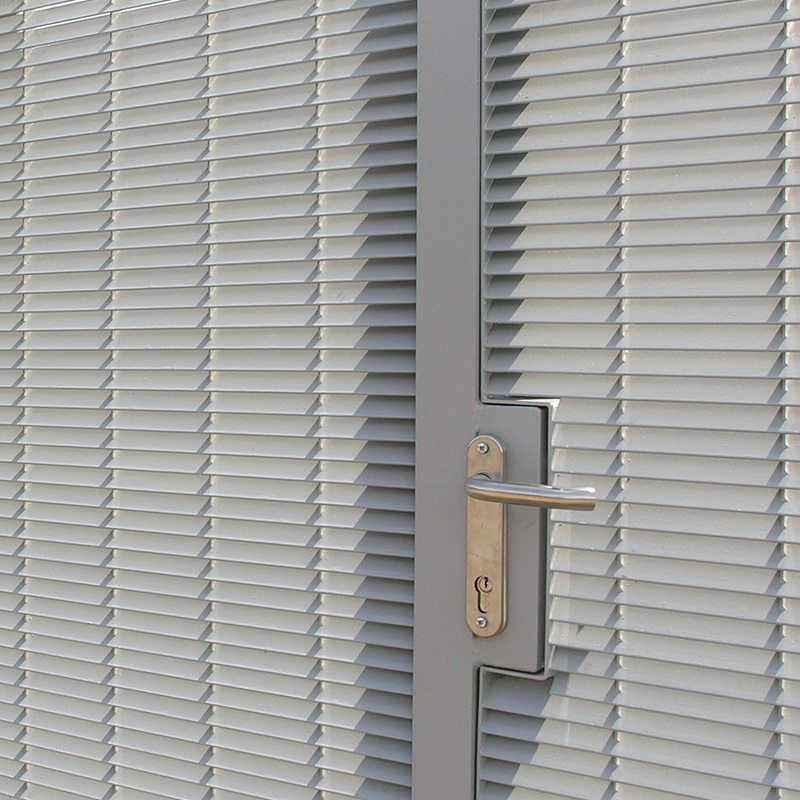 DeltaWing: 40×2 mm horizontal flat bars angled at 45o and 20×2 mm vertical bearing bars for a slightly linear appearance. 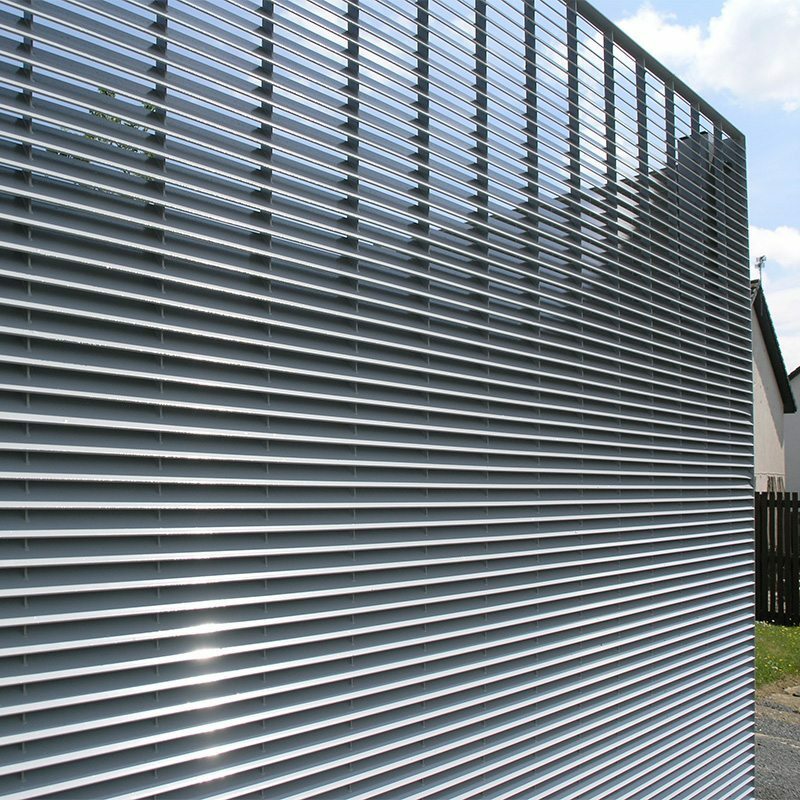 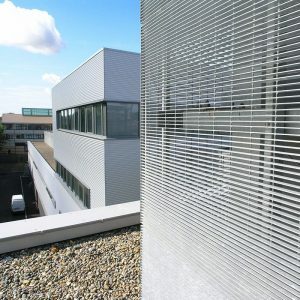 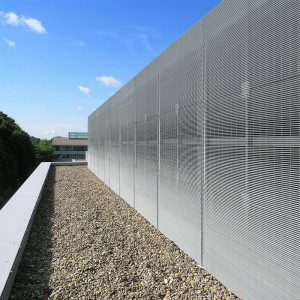 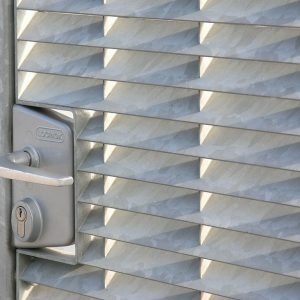 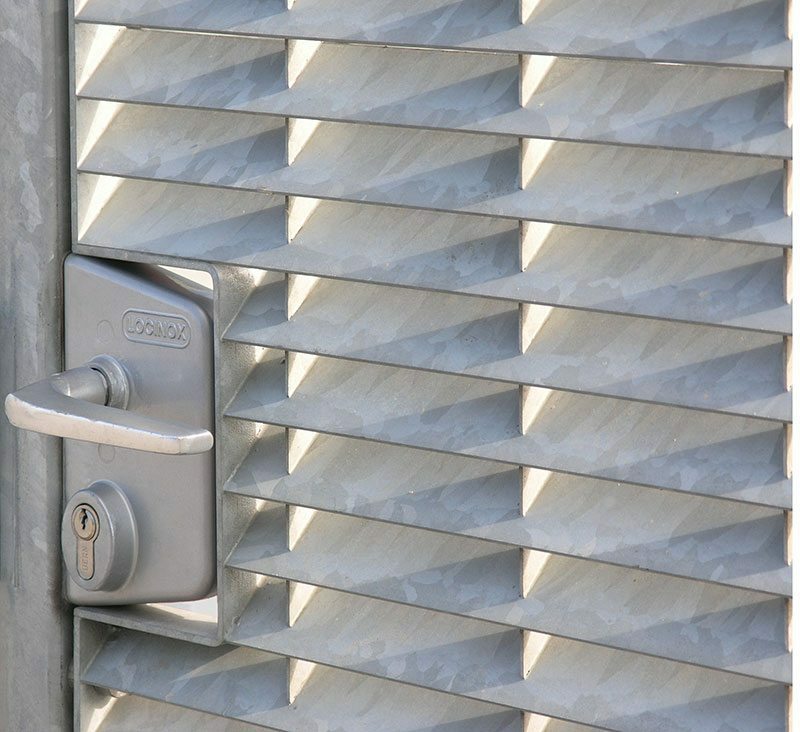 DeltaBox: 40×2 mm horizontal flat bars angled at 45o and 30×2 mm vertical bars. 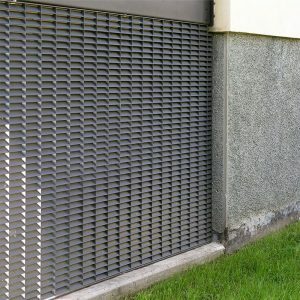 The bars intersect at the front edge for a more geometric appearance.